American Airlines is one of the most distinguished airlines in the world. Currently, American Airlines is still the number one airline when it comes to fleet size and revenue. This company was founded all the way back in 1926 in the “Toddlin’ Town” of Chicago. There are now 946 planes in American’s fleet that travel to around 350 locations around the world. American Airlines has ten hubs across the nation, but their central headquarters is located right by Dallas/Fort Worth International Airport. One achievement American Airlines is particularly proud of is the creation of the Oneworld airline alliance, which now includes distinguished partners such as British Airways, Finnair, Japan Airlines. This company currently trades publicly on the NASDAQ under the ticker AAL. Since American Airlines is one of the biggest airlines in the world, you’d better believe it has a well-developed customer service division. If you need to contact an American Airlines employee, just call this toll-free number (800) 433-7300. You’ll reach a friendly member of American Airlines’ North American customer care division using this number 24/7. Of course, you can never be sure where on earth you’ll need to give this company a call if you’re flying around the world. That’s why we’ve put this little list together of the most informative American Airlines websites. All of the URLs pasted below are intended to help Canadians figure out the best ways to get in contact with American Airlines, no matter where your travels take you. This is American Airlines’ official “Contact” page. You can click on any of the links to figure out answers to questions regarding car rentals, flights, refunds, and baggage claim, just to name a few. As you scroll down, you should see three icons with links underneath them. The first will help you send American Airlines a compliment or complaint. The second will help you figure out the best telephone number to call. Finally, the third link will help you find the closest ticket sales centers to wherever you live. Here’s American Airlines’ official FAQ page. There are tons of questions on this page related to customer service, travel information, the AAdvantage program, and reservations. This is a webpage devoted to American Airlines’ corporate structure. You’ll find the official mailing address and physical address for American Airlines’ headquarters on this page. You’ll also find all the names of the company’s chief executives. American Airlines has its very own YouTube page showing off all its latest planes and products. Just a few of the video playlists on this website include safety videos, Instagram stories, and music videos from the American Airlines Concert Series. To reach this Fort Worth office via telephone, just dial (817) 963-1234. You can also fax to this Texas office using the number (817) 967-2937. This office is open from Monday through Friday from 9:00AM-5:00PM. American Airlines employees are always posting interesting things on social media. If you have a Facebook account, you can “friend” American Airlines on this link. Twitter users can follow American Airlines on this webpage. Lastly, Google + users can follow this address to check out American Airlines’ profile. 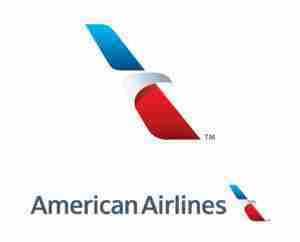 Submit your review of the American Airlines customers care service. Your e-mail address will not be published. All fields marked with * are mandatory. Do you work at American Airlines? Claim your listing for free! Qith a Company account you can to respond to reviews, update your profile and much more.